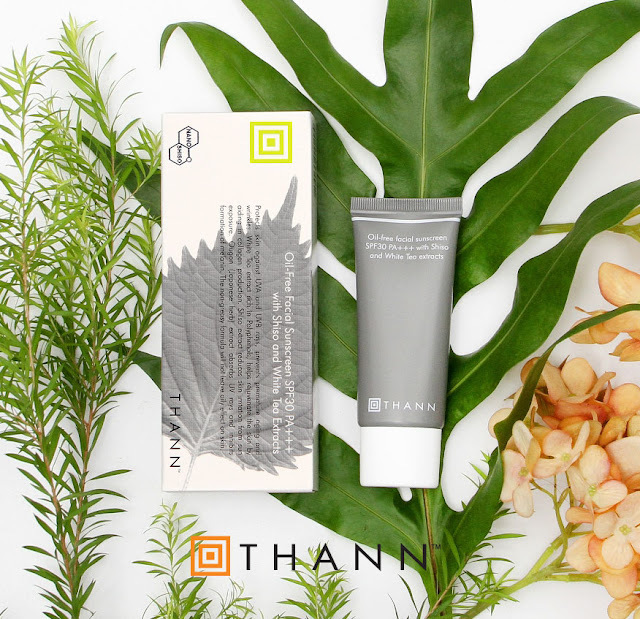 Whether you are planning for a beach getaway or staycation in the city, award-winning aromatherapy and skincare brand THANN will give your skin and hair the protection it needs for the tropical sun. 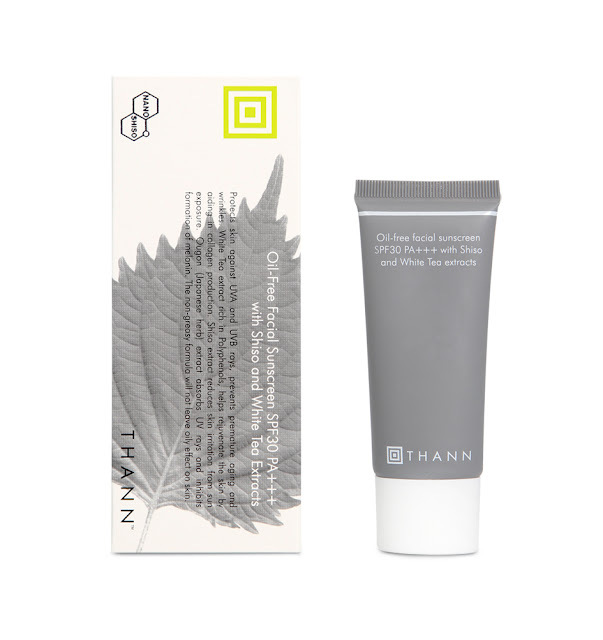 Enjoy the glow of the sun but keep the aging effects of exposure at bay by protecting your skin from the damaging effects of harmful UVA and UVB rays with the light, non-greasy THANN Nano Shiso Facial Sunscreen SPF30 PA+++ 40g (RM169) that spreads easily and absorbs quickly without leaving any oily effect on skin. For over a millennium, Asian herbalists have noticed that Shiso plants (Perilla frutescens) can survive extreme droughts ad climatic conditions and the Nano Shiso extract penetrate deep into skin for maximum absorption of its powerful anti-oxidant benefits to keep skin supple while reducing skin irritation from sun exposure. The White Tea extract further counters the harmful effects by aiding collagen production to bring about rejuvenated skin. To enjoy an island escapade by just stepping into the bathroom, indulge in the THANN Sea Foam aromatherapy collection of shampoo, shower gel and body milk. Made with a base of pure Peppermint, Rosemary and Thyme essential oils, the Sea Foam aromatherapy collection is designed to envelope your senses to refresh your mind and spirit every day. Begin your experience with the THANN Sea Foam Aromatherapy Shampoo Anti-Dandruff 250ml (RM79) with Wheat Protein, Rosemary, Eucalyptus, Thyme and Peppermint essential oils to detoxify hair and effectively remove all traces of styling residue, leaving it revitalized and thoroughly cleansed. Rosemary oil is a natural anti-oxidant that protects against free radicals from too much sun exposure and those with itchy scalps can enjoy relief with antiseptic properties of Eucalyptus oil, while Thyme oil deeply cleanses the hair and naturally fights against dandruff. As you work up a rich lather and gently massage your scalp, let the Peppermint oil refresh your mind and spirit for an uplifting shower experience. For soft, clean and healthy skin, indulge in the 100% botanical derivative based THANN Sea Foam Aromatherapy Shower Gel 320nl (RM89) that is enriched with Rice Bran Oil, Thyme, Rosemary and Peppermint essential oils. It is specially formulated to optimize the skin's natural moisture balance with its soft lather, with the Sage and Thyme oils removing damaging free radicals caused by everyday pollution while Mint oil refreshes the mind and spirit. To complete the beach holiday experience, nourish your skin with another Sea Foam aromatherapy essential, THANN Sea Foam Rice Extract Body Milk 320ml (RM119). Blended with Rice Bran Oil, Peppermint, Thyme, Rosemary and Eucalyptus essential oils, this moisturizing body milk contains 8% of the highest quality rice bran oil which is rich in essential fatty acids, vitamin E to deeply nourish and leave skin silky soft. The natural non-greasy formula is easily absorbed but will not clog the pores and contains no artificial fragrance, making it suitable for sensitive skin.